$60,000 raised to support our programs in Senegal and The Gambia. 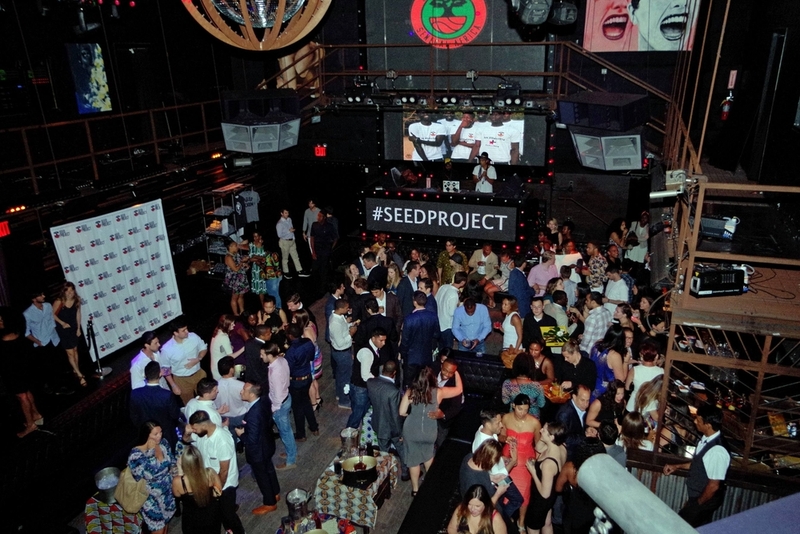 More than 300 SEED family members turned out for our 4th annual SEED Summer Party and helped us raise significant funds to support our 8,000 students in Senegal and The Gambia. The talented music group, Eye Spy, helped us turn Marquee NY into a West African dance party where our guests heard keynote speeches from Amadou Fall (SEED Founder // VP NBA Africa), DeSagana Diop (Retired NBA Player), Masai Ujiri (President, Toronto Raptors), Makhtar Ndiaye (Wasserman Media), and Noah Levine (Executive Director, SEED Project). We also honored SEED Professional Board members, Etzerson Philitas and Brian Waweru, with this year's Leadership Award for their contributions as Co-Chairs of the Finance Committee. We paid homage to Sidibe by re-creating one of his famous sets - always modest and often covered in patterned fabric.